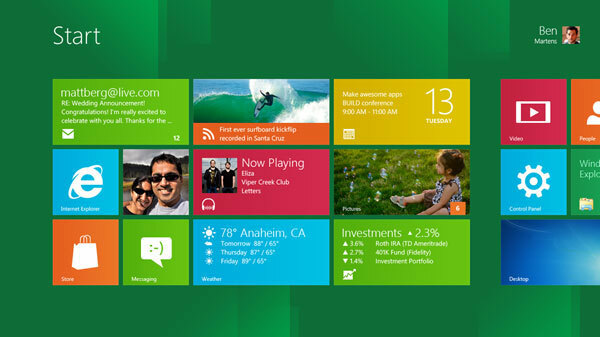 The traditional desktop environment for running desktop applications is accessed via a tile on the new Start screen. The Start button has been removed from the taskbar in favor of a Start button on the new charm bar, as well as a hotspot in the bottom-left corner. Both open the new Start screen, which replaces the Start menu. Applications developed for this new environment were previously referred to as "Metro-style apps" in development materials, connecting it to Windows 8's use of a interface following the Metro design language as its primary desktop. However, reports surfaced that due to potential trademark issues with the German company Metro AG, Microsoft officials had began to advise its Windows developers to stop using the term. A Microsoft spokesperson however, denied these reports and stated that the use of the term "Metro" to describe these apps was merely a codename that would be phased out.